I moved to Denver, Colorado in April 2013 after no small amount of soul-searching. I had lived in Pittsburgh for all of my adult life, but I it was time for a change. As I looked at major cities (I needed to be a non-stop flight away from Pennsylvania for family reasons), my gaze kept falling to the West. San Francisco was too expensive to live, even though I had family there. Seattle was too rainy. Denver? Sure. It fit all of my criteria, and it opened up to me a segment of the West that I had always wanted to explore. After living in Denver for just over 2 years, while returning from one of those family responsibility-fulfilling flights to Pittsburgh I was perusing the September 2015 digital edition of Outside magazine. 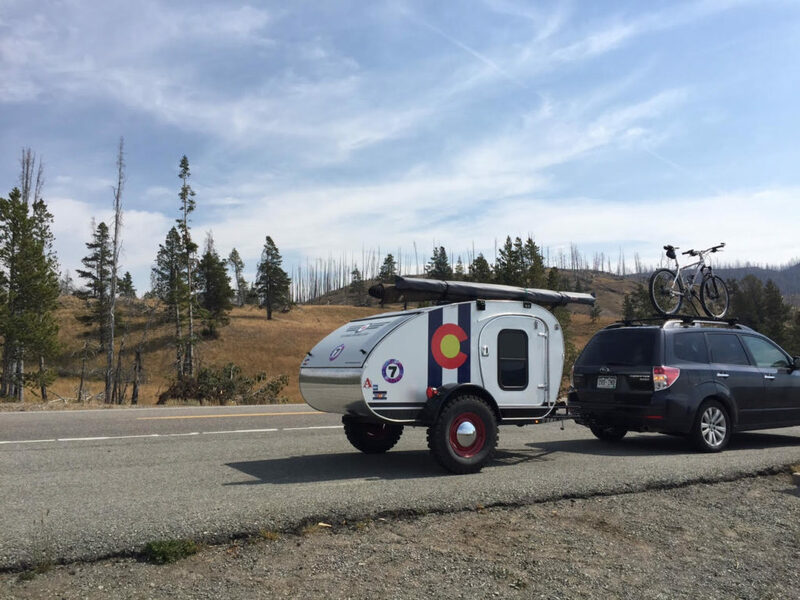 I had been thinking of getting a small camper as a means of exploring my new environs, but I hadn’t done much beyond investigating dry weight and towing capacity, chagrined that I probably would have to buy a new tow vehicle. But somewhere over middle America, there in front of me was the sharpest, coolest, most awesome retro camper I could ever have imagined. And it was built by hand, in Grand Junction, Colorado! The title at the top of the page? “COVET”. Almost immediately, I did. While ruminating for several weeks (people tell me that my decision-making process is ultra-cerebral that way), I frequently returned to that digital page. Covet. When a beautiful Fall weekend was approaching in late September, and work was light, I decided it was time to make a little road trip. 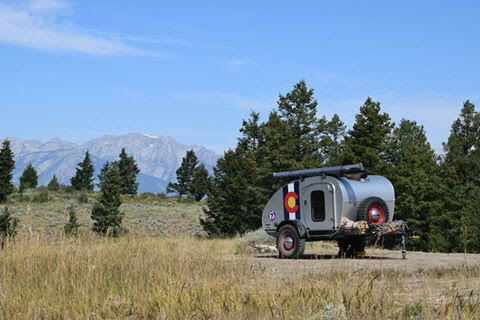 I emailed Vintage Overland and I asked if I could come to Grand Junction and see their caravans in person (I had looked at some boxy ones already, as well as some that were mass-produced, complicated, and not that reliable from what I was hearing from existing owners). I convinced myself this was primarily a trip to do some hiking with my dog, with the ancillary benefit of seeing the teardrops in person, and I set off, with an appointment to stop by mid-morning on Saturday. 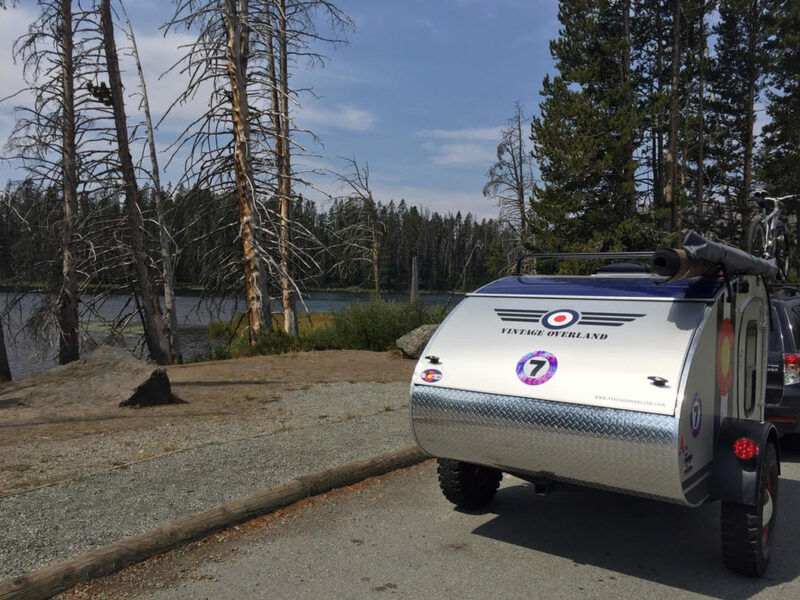 When I met Britton Purser, I was impressed with the story of how he started making teardrop caravans after sketching one out on a napkin. He was an entrepreneur, having stumbled into this still nascent business through a lifetime of experience as a craftsman (not only him, but his brothers as well). He showed me a caravan or two in process. We sat in one as he told me about some of his customers and their experiences. “There’s this couple that pulls their caravan with a Subaru, I think it’s even smaller than the car you have there”, he said. But I had done the math so I already knew I could tow one with my existing car. “Covet” was turning into, well, I don’t know what the next stage beyond covet is, but I was already there. Within a couple weeks I had sent in a deposit, and late April couldn’t come soon enough so I could pick up my own Vintage Overland teardrop caravan. After taking delivery I went on several short camping trips, exploring areas within a few hour’s drive of Denver. Generally I headed West or South. Both routes took me over mountain passes, and the caravan tracked faithfully behind my Forrester. 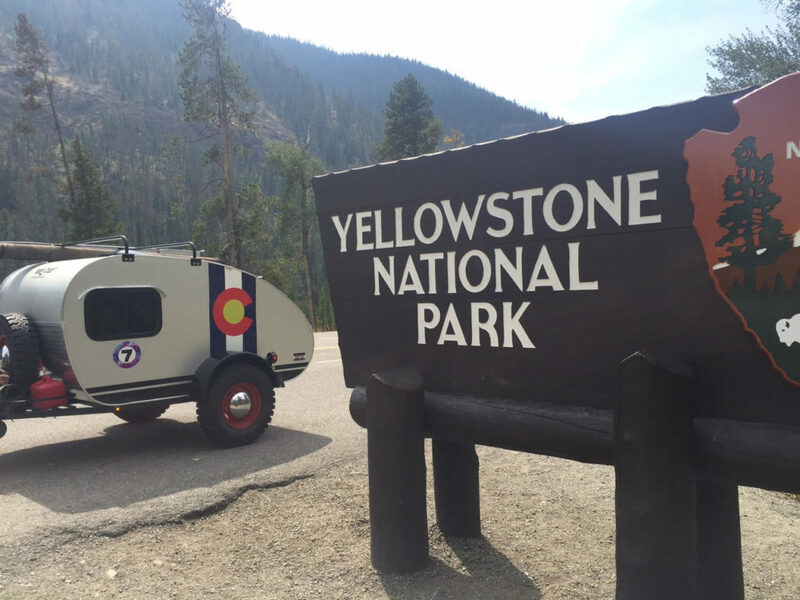 I felt like a veteran teardrop camper now, and the 100th “birthday” of Yellowstone Park was coming up in August. With a reservation in hand for the anniversary week, I set off for 9 days’ vacation. A couple of nights in the Grand Tetons outside of Jackson Hole, WY were in order first. A bumpy dirt road through the National Elk Reserve and a climb up some switchbacks to reach my campsite? No problem. As during my other, shorter trips, the caravan sailed along behind my car. I wouldn’t say I didn’t know it was there, but I will say that it was as if it had been born to be mated to the car. After 8 days on the road, I left Yellowstone through the East entrance (the fires subsided and the South entrance re-opened 2 days later—the same day I arrived back home in Denver), and I relished the wonderful scenery of Wyoming, with an overnight stop in Laramie. As I was approaching Denver, I did the math: I was going to fall short of 2000 miles by about the distance of a round-trip to the Denver airport. About 1300 of those were towing miles, and I enjoyed all of them, and didn’t want the trip to end. Thank you, Vintage Overland, for opening doors to the great outdoors for me.